Due out in the west in around a month, Akiba’s Beat is a sequel to the delightfully oddball Akiba’s Trip (though it plays nothing like it), and comes to us from the very talented, and often underrated, development house, Acquire. Related reading: Matt's "review" of Persona 5, which is So thematically similar to Akiba's Beat. Though my review’s around a month away, I have had some good, solid hands-on time with the game already, and I’ve got to say this; Akiba’s Beat’s biggest problem might just be Persona 5. The thing is that the games share almost exactly the same core theme. Persona 5 is all about a band of characters diving into a series of dungeons created by people who have allowed their various vices get the better of them. These people so some pretty horrible things as a result, and it’s up to the player’s team to defeat the “shadow self” of the villains, and “steal” a piece of that villain’s soul - his/her “treasure” - in order to make them have a “change of heart” in the real world, and recant their villainy. In Akiba’s Beat, the band of heroes dive into a series of dungeons created by people who have allowed their warped desires for the world to begin to alter it. These “delusions” need to be defeated in order to right a world that is twisting out of control, and is an existential threat to the very existence of Akihabara. See the similarity? It’s almost eerie that the developers had managed to come up with such similar concepts (and the timelines with regards to the game reveals and so forth would suggest that it is coincidental). There are differences, of course; Persona 5 has plenty of moments of levity, but it’s fundamentally a serious game. Akiba’s Beat has a serious underlying theme, but is broadly a satire of everything that people love (and love to hate) about Akihabara. Both games offer relatively authentic takes on parts of Tokyo; Persona 5’s dominant stomping ground are the major cities of Shibuya, Shinjuku, and a couple of satellite areas that feed into those cities. 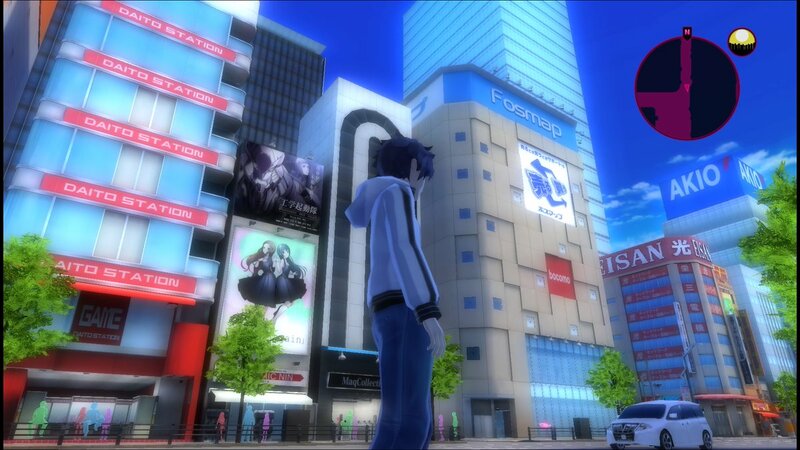 Akiba’s Beat is all about Akihabara. And Persona 5 is a purely turn-based combat system, while Akiba’s Beat is clearly influenced by the pacy action of Namco Bandai’s Tales of series. These are significant differences, but I can’t help but think that that core underlying narrative theme is going to cause critics and players alike to compare Akiba’s Beat to Persona 5, and that’s never going to end well for Acquire. It’s going to be quite unfair, even. 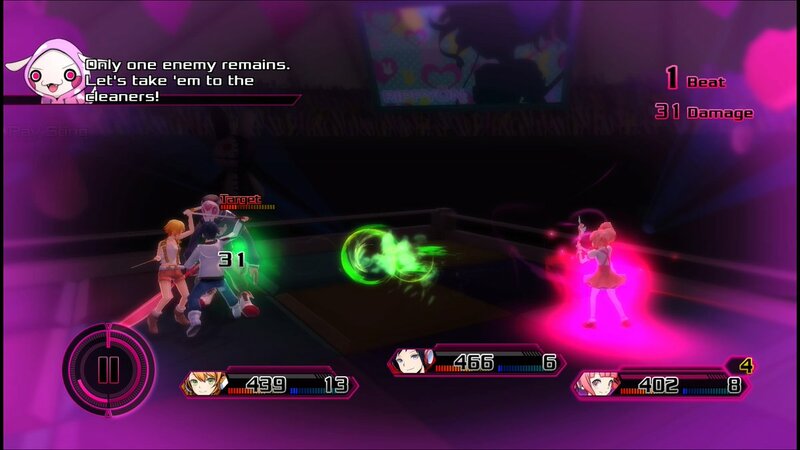 Akiba’s Beat plays well, has a good sense of humour, fun characters, and bright, cheerful aesthetics. It’s got some great ideas sitting underneath its surface, and were it released in isolation, I do think that, if it was released in isolation, the game would have a generally positive response from genre fans (though naturally it’s not the kind of game that will catch the attention of the mainstream). But coming around a month after Persona 5 is a tough ask for the game. It would be a tough ask for any game; Persona 5’s the kind of game that will be in contention for Game of the Year awards, even at events that don’t generally take notice of JRPGs. It’s a game that’s already sold close to two million units worldwide. It’s the kind of game that, erroneously as it is, critics write up as a “saviour” of the genre. If if wasn’t for Yoko Taro’s own NieR: Automata, Persona 5 would effortlessly by my favourite game of the year to date. There’s just no way another game working on similar narrative themes can compete with that. My hope is that people who really enjoyed Persona 5 might be open to a “B-grade” take on the game and give Akiba’s Beat a look-in otherwise, because what I’ve played of the game so far is really, really positive. I love the way that Akihabara is recreated in the game; I’ve been able to identify the store where I bought my Hatsune Miku doll, and the ramen shop where I had dinner with a couple of the guys from Koei Tecmo one year. I like its sense of humour, and though I would love a Japanese voice track so I can get rid of the more irritating voice actors (there are some that really make my ears bleed), I also quite like the characters. And the aesthetics. 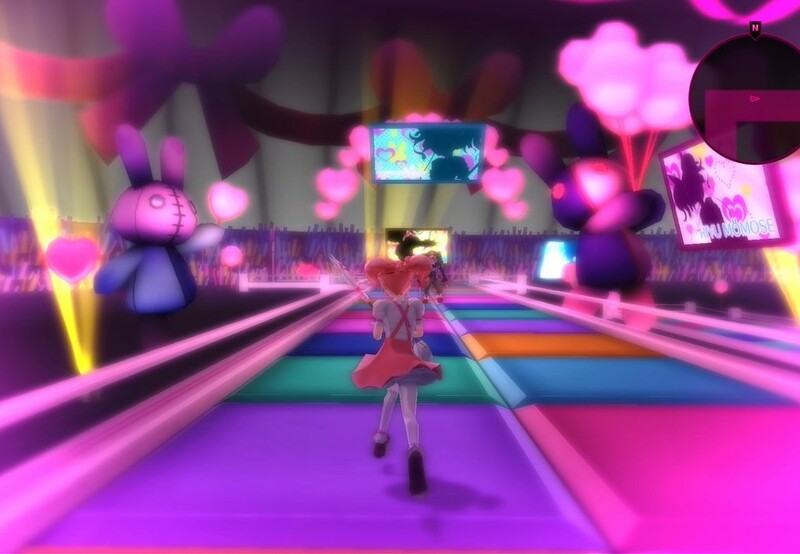 Bright, colourful and overbearing, I’m in love with the overload of colour and energy that permeates everything about Akiba Beat’s aesthetics, because it’s the perfect visualisation of what Akihabara’s really about. It’s a city of sensory overload, where you can wander around in a daze, captivated by its endless energy, noise, and colour. It’s not always pleasant, as the colours have a habit of clashing garishly as one anime or fad tries to override the one next to it, but it’s an experience that you’ll not soon forget. My time with Akiba’s Beat has done a better job of capturing the energy of the titular city better than its predecessor, and barring any disasters later on down the track with the game, I think this one’s going to be a depressingly overlooked, quality little game. Again, it’s biggest problem may well have nothing to do with what’s in the game, but rather the fact that Atlus trumped the entire genre this year just a week ago with Persona 5.